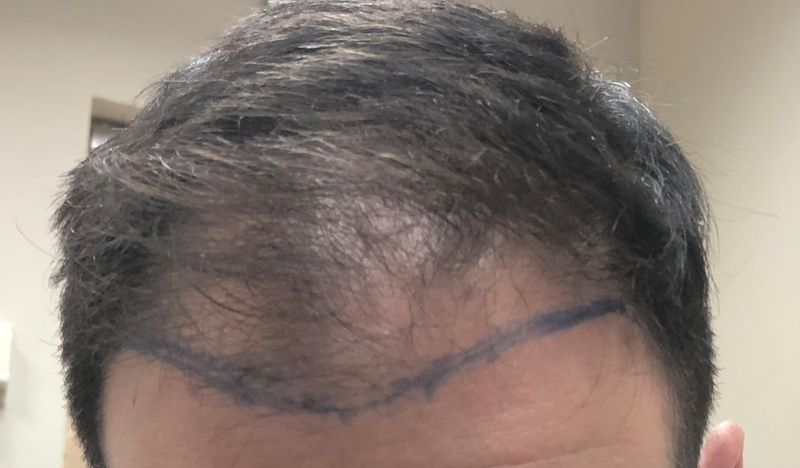 Hair transplant graft count accuracy - Did I receive 1700 grafts? Last Tuesday I had FUE hair transplant. at the beginning everything was OK, but when we proceed to the transplant stage the Dr. struggled with my head and was under pressure to finish to catch up with the next patient. I paid for 1700 grafts. 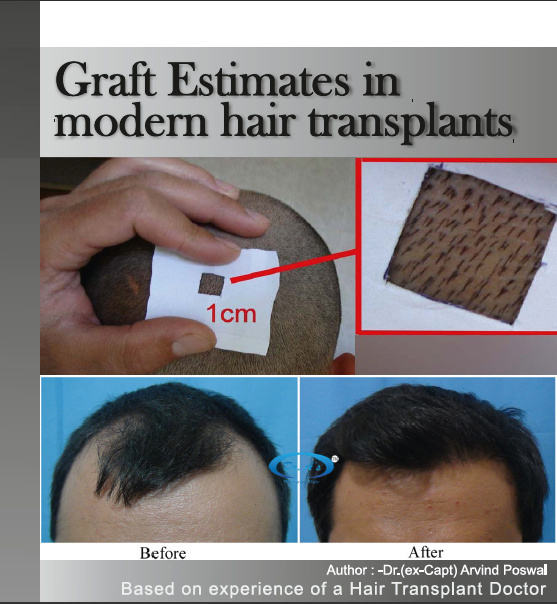 after the treatment I asked the Dr. how much grafts he transplanted and he said 1750. I have hard feelings that I didn’t receive 1700 grafts (and even not something near to 1700 grafts…) but before I jump in conclusions I would like to ask you if it “looks like” i received 1700 grafts? I tried to count the red dots on my head and after I finished half of the transplanted area I counted only 500 red dots… (I assume that I missed some…). Is it possible that I have to or more grafts in the same dot? (in areas which I saw “big” dots I assumed that there are more than one graft). The attached photo is from Wednesday (day after the treatment). Why don’t you take the post-operative photos and count the grafts you see? Does s a post operative red dot always equal 1 graft? Are there circumstances where a graft has been transplanted but no red dot can be see post op? I will approach him in the coming weeks and ask the picture he took after the treatment, but I assume that he will ask me why I need them and I don’t want to front with him now (maybe I’ll have questions about te post treatment etc). From preliminary investigation, I don’t have 1700 dots on my head, but before I argue with him I do want to be “sure” that 1700 grafts should be 1700 dots (I.e I don’t want to be in a position in which I accuse him with something without any reason). @cavi Why do you need to ask for photos from the doctor? Isn’t the first image in this thread a post op photo? You couldn’t do your count based on the photo in this thread alone? I don’t see how the pic in this post would be any different from what your doctor has. I do started the counting and after a bit more then half head I managed to count only 700~ grafts… (because of that I asked if this looks like 1700 – maybe, as motioned before, it possible that there are two grafts in the same “dot”). I will recount today based on my photo. So if your doctor tells you yes, some “dots” contain 2 grafts, then you will be satisfied? Well it looks closer to 1100-1300 but your doctor might just say that one dot contain 2 or more grafts. No, but if there are doctors here and they will tell me I’ll be more confident. , so even if he transplanted everything, which he didn’t as you can see in the pictures I uploaded, it’s still less than 1700 grafts. By the way, in his website he publishes the for 4000 hairs he charges X amount, and after I spoke with him he told me that 4000 hairs it’s 1000 grafts. so, if that is the case I should receive 6800 hairs. from the pictures of the grafts he sent to me I saw that most of the grafts are of 2-3 hairs each, so I got even less hair(!). what a shame, I fell awful! I counted the very 1st column on the left, I counted 21, so extrapolate that to 10 columns will be approximately 2100. @cavi any update? Did you ask your doctor for a refund? This may help prospective patients. Dr. Arvind, how is your book on graft estimates help this guy who thinks he is not getting what he paid for? He paid for 1700 grafts but he thinks his doctor did not give him anywhere close to 1700. @Dr_Arvind Does a post operative red dot on the patient’s recipient site always equal 1 graft? 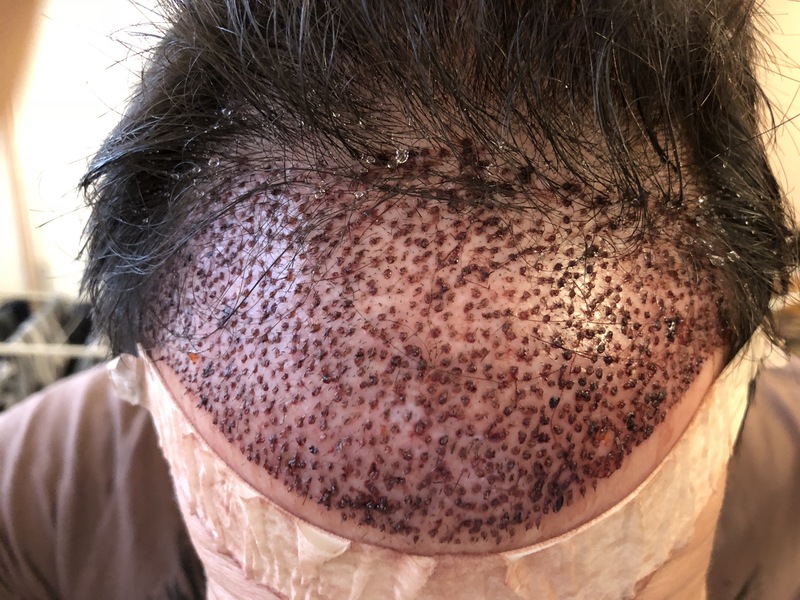 How accurate is it to just rely on counting how many red dots the patient has on his scalp to verify how many grafts he had received from his doctor, as in the very first photo of this thread? Knowing how many grafts a patient needs is a completely different issue from what is being debated here. This guy thinks that the clinic’s graft count was not accurate. He paid for 1700 grafts but he thinks he didn’t get anywhere near 1700.